Many businesses are trying to leverage the potential of mobile applications for serving their customers well and growing their revenue through an app. We have already shared some of the major benefits of developing a mobile app for any business. 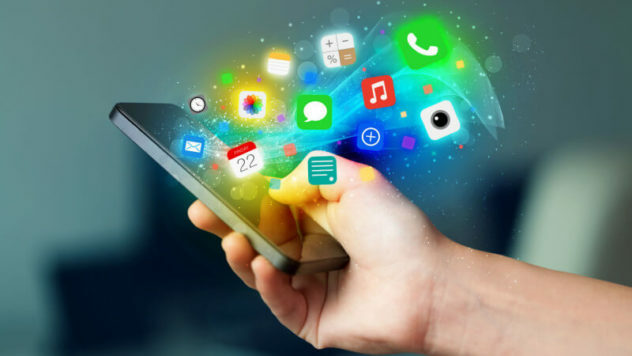 Now that we all know, a mobile app can help companies to grow their businesses, the only concern or doubt among small business owners is related to the costing of mobile apps development. While it’s true that a mobile app can cost you thousands of dollars but you can save your development cost by simply following few tips. In this blog post, we’ve shared 5 such useful tips that will help you to reduce your mobile app development cost. Yes, this is perhaps the effective way to lower down your app development cost. You can find plenty of app development companies or app developers who can build a mobile application for you at affordable price. But wait, before you decide to hire an Indian app developer, do make sure to perform due diligence so that you don’t waste your hard-earned money. A. Experience: Your app developer must have enough experience to handle your app not only during its infancy stage, but he must also be able to help you to expand your application in future. You must hire an app developer who has got a minimum of 3 years of experience. B. Testimonials: What others are saying about your app developer. Are they happy or disappointed? Insist to get some of the past customers details from your app developer so that you can contact them over email or phone and check the reliability of your shortlisted developer. C. Portfolio: Do have a look at the portfolio of your app developer before you hire him or her. When you see their past projects, you can be assured of the quality of their work and whether they will be able to meet your expectations or not. D. Understanding: This is perhaps very important check point before you hire any app developer. You must make sure that he understands all of your requirements well. E. Communication: Is your shortlisted app developer able to communicate with you effectively? There have been many cases where overseas clients hire Indian app developers and later they face communication problems due to which the project gets affected badly and as a result, it never gets completed. Follow above tips and ensure that you don’t make any mistake while hiring a mobile app developer in India. When you look out for a mobile app developer to build your application, do make sure that you understand the difference between various technologies and how they can affect the quality & cost of your mobile app. For instance, you must ask your app developer about the platform he will be using for your app. If he is using developing native apps for you, it may be time-consuming and expensive too. And if your app developer is building your application using hybrid technology, you might need to compromise on some of the features or quality aspects of your mobile app, although you may get affordable quote for a hybrid app. Yes, developing an app using React Native platform will not only cut down the development cost of your application, but it will also ensure that the quality of your end product is not compromised at all. If your mobile app also requires a web interface, insist your app programmer to choose an open source technology to develop the website or backend. Choosing an open source technology will help you to save your web development cost. PHP is an excellent example of an open source platform. You may also request your app developer to use PHP based frameworks or CMS like WordPress. We have noticed many times, most of the businesses try to incorporate several features at the same time on their mobile app. This is a huge mistake that can lead to a financial loss. Carrying away too many things with your mobile app will not only cost you more but it will also slower down the development process. Decide on a single goal that you want to achieve through your mobile app and discuss it with your app developer. Plan all the development strategies around that goal only. Do not change the features during development unless its mandatory for your business. If you have new ideas that you want to add for your users in order to provide them a richer experience, wait for the first launch. After you launch your mobile app, you may get several feedbacks from your users and you can plan accordingly for your next phase of development based on those feedbacks. In other words, keep your app development process simple and save your money, time and resources. Unlike most of the websites, a mobile application is not a one time event. You must upgrade and enhance your apps regularly to match the expectations of your users and stay ahead of your competitors too. Always hire a mobile app developer or app development company who can work with you in long run. It will save your development cost in future. When you switch over your development companies or developers each time you want to update your app, you may end-up paying more than what you would have paid to the developer who built your mobile app in the first place. This is because your existing developer already knows the structure of your mobile app and can quickly incorporate new features at an affordable price however if you hire a new developer, he may take more time to understand the whole flow and coding structure which apparently could be time consuming and expensive too. You need a mobile app for your business. Yes, it costs more than a normal website development. But by simply following above mentioned points, you can definitely get an affordable mobile apps for your business. Although these points are quite minor, but they will help you to keep the cost of your app development to a minimum. Looking For An Indian App Developer? Contact Us Now!